You can’t throw a rock in establishment media circles these days without hitting a hand-wringing empire loyalist who is in the middle of an existential crisis about the US president hurting Jim Acosta’s feelings. They act like Trump saying mean words about mainstream media outlets worth billions of dollars is some kind of horrible, horrifying threat to the very fabric of society against which everyone should be marching in the streets and protesting. Meanwhile this same administration is taking actual steps toward imprisoning a journalist for practicing journalism, and these same empire loyalists are either ignoring it or cheering it on. And I’d just like to have a quick rant about how absolutely deranged that is. 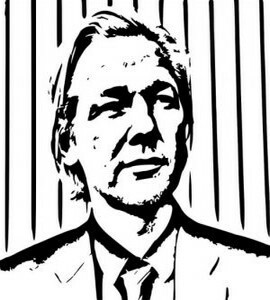 The journalist in question is of course WikiLeaks editor-in-chief Julian Assange. 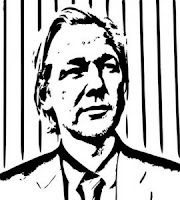 This administration has reportedly been scheming to find a way to charge Assange with crimes since shortly after Trump took office, with Attorney General Jeff Sessions confirming that Assange’s arrest is a priority and President Trump confirming that he’d support Sessions in that endeavor. Trump’s now-Secretary of State Mike Pompeo made vitriolic diatribes against WikiLeaks as CIA Director, making headlines by giving the outlet the nonsensical title of “non-state hostile intelligence service.” Trump’s now-National Security Advisor has advocated destroying WikiLeaks with cyber warfare. Vice President Pence visited Ecuador’s President Lenin Moreno and reportedly discussed Assange’s stay at the Ecuadorian embassy, just weeks before news broke that the Moreno government is taking steps to evict Assange from that same embassy and hand him over to British law enforcement where he can be extradited to the United States. And what are Trump’s political opponents doing about this unparalleled threat to freedom of the press? What are they doing to prevent a prosecution which would set a precedent allowing for any journalist anywhere to be imprisoned for publishing government leaks? Why, they’re attacking its target, of course. They are promoting Trump’s agenda. This is what has become of the so-called “Resistance”, the astroturf political performance cooked up by David Brock and other Democratic Party manipulators in a ham fisted attempt to harness the revolutionary spirit and enthusiasm of the Bernie Sanders movement and channel it toward bolstering the donkey head of America’s two-headed one-party system. I often see it jokingly referred to on Twitter as #TheAssistance, because it seems like when it comes down to opposing Trump where it actually matters like his military expansionism, Orwellian surveillance powers or trying to imprison journalists, Trump’s ostensible opposition on what is ostensibly the other side of the political aisle is always seen skipping merrily along with him, hand-in-hand. Assistance is certainly a far more accurate label. Because they absolutely are supporting and facilitating Trump’s agenda. It isn’t an agenda that fits in with either the Fox News narrative or the MSNBC narrative, since Trump supporters are generally supportive of WikiLeaks these days while those who hate Trump generally despise it, but it’s there clear as day whether it fits the partisan narratives or not. Clintonites (and an annoying number of progressives and leftists as well) have been manipulated into blaming WikiLeaks for Trump’s presidency, which due to the raving hysteria that has been injected into the response to this fairly conventional Republican administration makes it easy to spin them as unforgivably evil, but whom does that hurt exactly? Certainly not the Trump administration, which is clearly pulling out all the stops to imprison Assange. No, attacking and smearing a journalist (and Assange is most certainly a journalist per definition) whom this administration is actively targeting only serves this administration. All you’re doing is lubricating the way for that great leap toward Orwellian dystopia by helping to get the public cheering for something which will make it easier for the US government to imprison journalists who expose government malfeasance. You’re attacking Trump’s enemies for him. You’re cheering on Trump’s depraved agenda, and encouraging others to cheer with you. So by all means, mock them for this absurd behavior wherever you see it. Whenever you see someone who’s still raging over Hillary Clinton’s loss attacking WikiLeaks, ask them what turned them into such Trump fangirls. Ask them why they’re helping their buddy Trump imprison dissident journalists. On social media, photoshop a MAGA hat onto their profile pic for them to help them better express their support their Based God Emperor. If Democrats are going to help manufacture support for Donald Trump’s agendas, let’s at least make them own it.